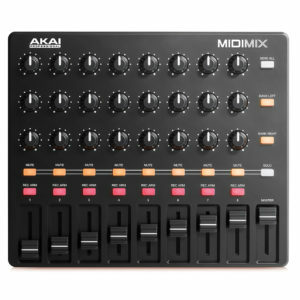 A set of 16 fat and playable pads is really only the beginning for Akai’s MPD232, which is easily as much a control surface as it is a pad controller. 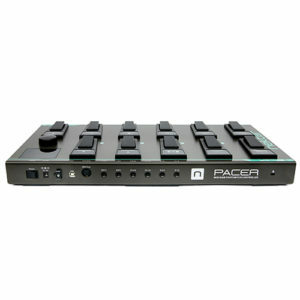 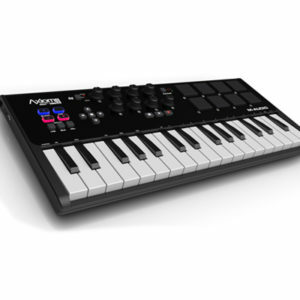 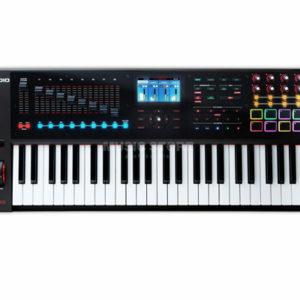 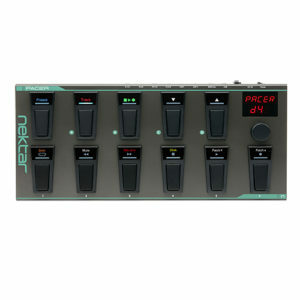 A collection of eight sliders accompanied by eight D-Link buttons and eight D-Link encoders opens up a world of hands-on control for your music, allowing you to mix volumes while automating pan and mute settings, or quickly dial in a graphic EQ or multiple ADSR envelopes at a time. 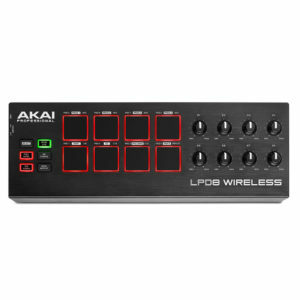 Akai even makes it easy to set up up your controls to do exactly what you want them to do, by including 30 presets that cover many popular features of today’s top DAWs. And with three control banks at your fingertips (spanning a total of 72 assignable controls), you’ll be amazing by how quickly you can dial in your favorite software with an Akai MPD232. 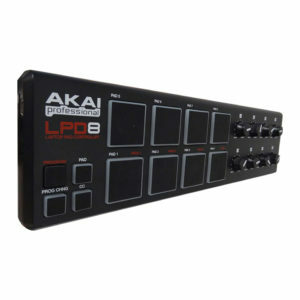 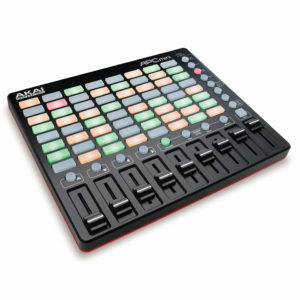 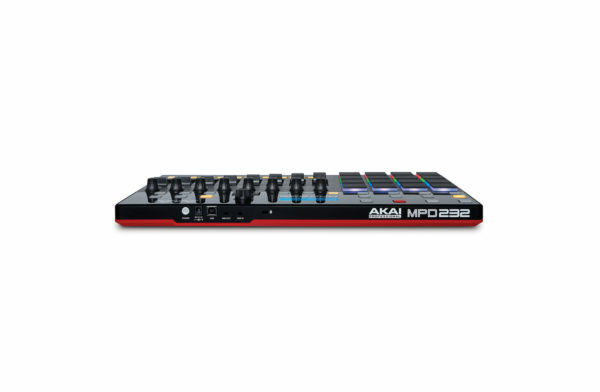 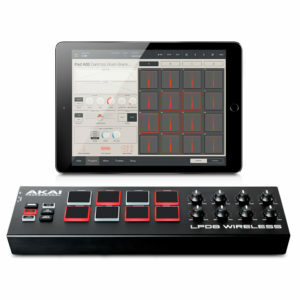 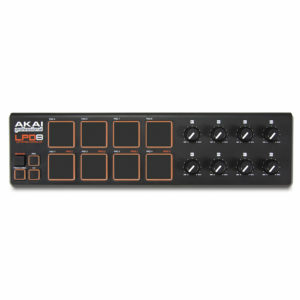 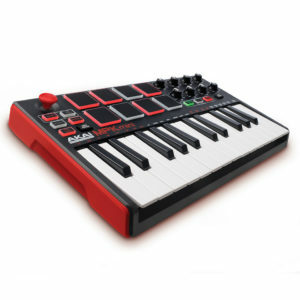 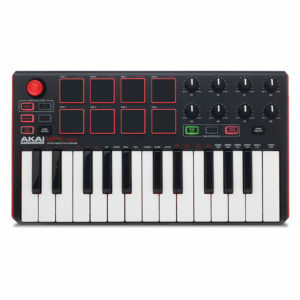 Breaking new ground for Akai’s MPD line, the MPD232 integrates a fun and flexible 32-step sequencer that lets you lay down epic grooves without touching your sequencing software. 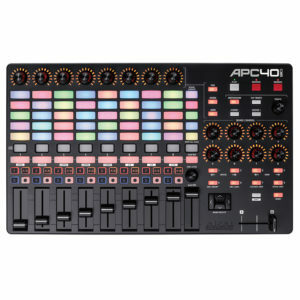 With 64 parts (that’s 16 pads x four banks) this step sequencer is nothing to scoff at, and every pad event is available for sequencing. 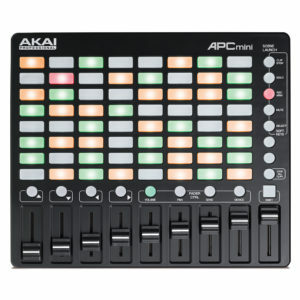 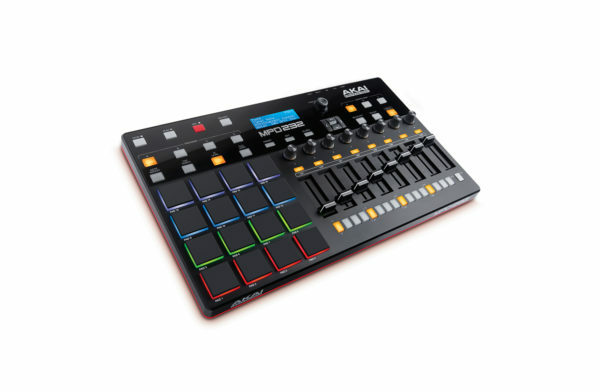 If you’re familiar with old-school step sequencing, then you already know how much of an expedient this tool can be when you’re writing music in your studio, and if you’re playing live, this sequencer can either take over your rhythm completely or help fill in the background while you perform over top on the pads. 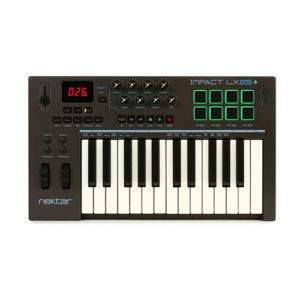 However you put it to use, you certainly won’t regret adding the MPD232’s sequencer to your bag of tricks. 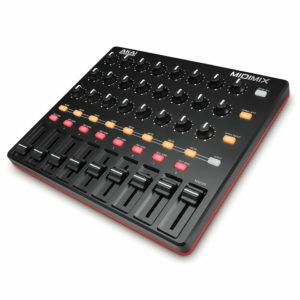 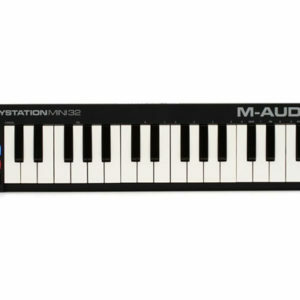 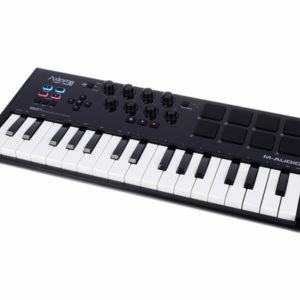 One of the things that sets the MPD232 apart from similar pad controllers is the fact that it offers you hardware MIDI outputs, rather than just MIDI over USB. 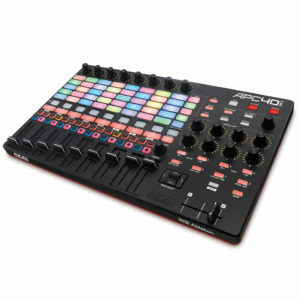 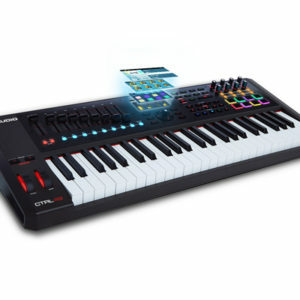 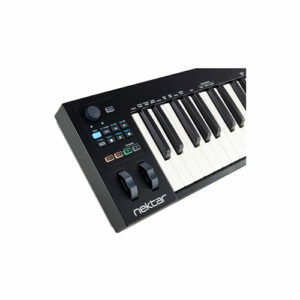 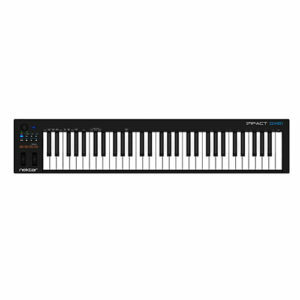 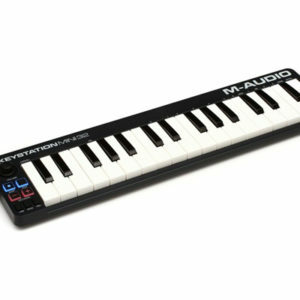 Now, the MIDI-over-USB is nothing to complain about – in fact, because it’s completely class compliant, you’ll never have to worry about installing special software or drivers get connect the MPD232 to your favorite software or iOS apps. 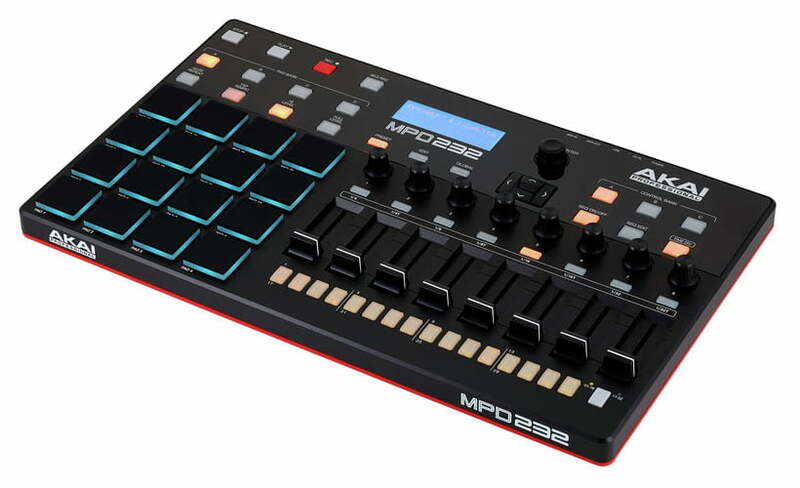 However, many of us here at Sweetwater are frequently on the lookout for great pad controllers that work with other MIDI hardware, which is why we’re such fans of the MPD232 and its sequencer. 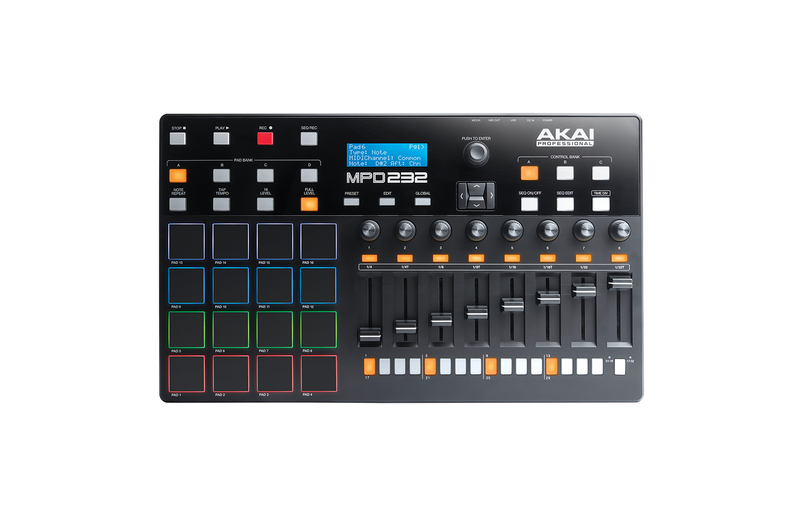 Whether you preform with a tabletop full of modules or simply want to add a set of pads and some extra hands-on controls to your keyboard, you’ll find the MPD232 to be an excellent addition to your live rig.